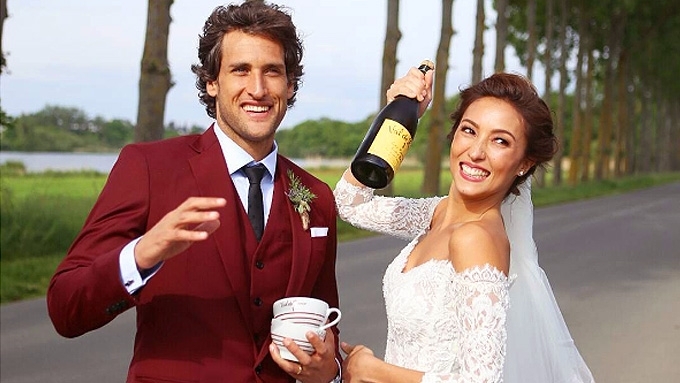 Solenn Heussaff and Nico Bolzico tied the knot on May 21, in the French countryside of Combourg, France. Solenn Heussaff officially became Mrs. Bolzico on May 21, in the French countryside of Combourg, France. She married her beau of five years, Argentine businessman Nico Bolzico. Pat Dy, one of the official wedding photographers, released his video compilation of candid stills during the #SosBolz wedding. Spoiler: All the It girls cried. The Wedding of Solenn Heussaf and Nico Bolzico from Patdy on Vimeo.